The first book is my all time favourite because reading it, many years ago, truly was a life-changing experience for me. However, there were no bright flashes of enlightening, but a gradually awakening understanding within me that we always have choices in life; and that we do not have to put up with circumstances that are no longer right for us and possibly never were. Over some time, this led me into the realisation that this freedom of choice brings with it the responsibility of acting on our knowledge and learning to choose wisely. To me, the greatest beauty and attraction of Dr. Rowe’s writings always has been that she does not come across as one of those ‘oh, so spiritual’ writers. If anything, she is the opposite. Her writings are in a class of their own; although they are of a deeply spiritual nature, she insists on telling her readers that this is not so. And she is right; on the surface of things, her books are not spiritual ones. It’s hard to explain, but if you have never read any of her works, you really have missed out on something. • ‘The Art of Effortless Living – Simple Techniques for healing, mind, body and spirit’ by Dr. Ingrid Bacci. 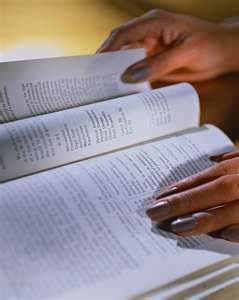 As the author points out, it is a book about finding inner guidance by opening the door to our unconscious Higher Self. This is the most important thing we can do in our lives and it is the only way we can learn to live without conflict. To open the door we have to believe that this Higher Self exists and is available to us, and that we have to ask it, so that it may speak to us. Disbelief slams the door shut, while belief opens it. The goal of this book is to offer the reader a comprehensive, practical and pleasurable map of the journey into becoming more fully ourselves and of helping us to find the healing that we and our world so desperately need. • 'Fear-Less Now: A Manual for Healing and Self-Empowerment in a World of Crisis' by Dr. Ingrid Bacci. • ‘Anam Cara’ by John O’Donohue. • ‘The Spirit of the Valley – Androgyny and Chinese Thought’ by Sukie Colegrave. • ‘What do Women Want’ by Luise Eichenbaum and Susie Orbach. • ‘The Poisonwood Bible’ by Barbara Kingsolver. • ‘The Medicine Woman’ Tarot by Carol Bridges. The cards are beautiful and they are accompanied by ‘The Medicine Woman Inner Guidebook’. This Tarot is dedicated to the development of the wisdom of the feminine, in both women and men. It is based on the Native American Tradition and contains deep wisdom and insights. I use this Tarot occasionally for family, friends and myself. After having taken an important decision, I find it helpful to consult with my Tarot. Before I do, I follow Carol Bridge’s advice and ask the Angels of North, East, South and West for their inspiration, guidance and protection, and that all I need to know may come into my conscious awareness. The Tarot usually confirms the decision, but if that is not the case, it is a good idea to see whether something important might have been overlooked. • ‘I Fly Out with Bright Feathers – the Quest of a Novice Healer’ by Allegra Taylor. This is a funny and light-hearted book about all manner of healing methods that are being used in our world. • ‘Feel the Fear and do it Anyway’ by Susan Jeffers – the title explains it all. • ‘The Prophet’ by Kahlil Gibran, 1883-1931, the Lebanese/American Poet. Gibran’s literary and artistic output was influenced by the Bible, Friedrich Nietzsche, and William Blake. His writings in both languages, which deal with such themes as love, death, nature, and a longing for the homeland, are full of lyrical outpourings and are expressive of Gibran’s deeply religious and mystic nature and I just love them. • ‘The Treasured Writings of Kahlil Gibran’. • Just when I had started to set out the outlines of my new project 'The Patriarchy and Warmongering Through The Ages' in August 2013, my attention was drawn to ‘The Great Cosmic Mother – Rediscovering the Religions of the Earth’ by Monica Sjöö and Barbara Mor, first published in 1987, ten years after the discovery of Chiron. According to this source, the span of our race’s existence on the Earth plane, as far as we can tell, stretches over approx. 500,000 years. Of particular interest I found their comments about the change from matriarchal societies to patriarchal ones, which as far as we know, started about 6,000 years ago. ‘The Bronze Age marks a revolution in social organization. There was a break with the religion of the megalith builders. The Great Goddess still ruled, but no longer supreme. Her son/lover became more and more a dominating War God and Father God, taking over some of her functions and powers as his busy priests remade the old mythologies into his new image. In this they had the help of alphabets and script-writing invented by women of Goddess cultures. The transition from matriarchal to patriarchal organisation seems to have come about in Mesopotamia, as elsewhere, through the political-social revolt of the queen’s consort. She traditionally conferred executive powers on him by allowing him to adopt her names, robes, and sacred instruments and regalia. For example, the widespread custom of the king wearing artificial breasts and long robes, acting as sacred agent of the Goddess. The ‘crown’ on his head was the ‘crown of birth’ from the Goddess – as babies are still said to ‘crown’ at birth. When the king revolts against his sacred role, in order to exploit the secular power of the matriarchal domain, the Mother Goddess religion begins to be distorted. We see the rise of the Father God as secular male usurpation of social, political, and economic power as well as a rewriting of all the old mythologies. I highly recommend the reading of ‘The Great Cosmic Mother – Rediscovering the Religions of the Earth’ by Monica Sjöö and Barbara Mor. Alice Walker, the Pulitzer Prize winning author of ‘The Colour Purple’ called it: ‘One of the most important books I ever read.’ A view I share entirely. The book is an education and its five hundred pages are well worth spending the time it takes reading them. • ‘The Colour Purple’ by Alice Walker, the book that won her the Pulitzer Prize. An intriguing and insightful window into the life of a young black woman. Expressed in letter form we journey with her through the torments facing her in the deep South of America. She suffers abuse at the hands of the man she refers to as her father and the easy-to-follow letter format of the novel allows us to easily enter her world. The novel’s purpose is to highlight and to celebrate the resilience and sisterhood of women. It is a womanist rather than feminist novel. • ‘We Are The Ones We Have Been Waiting For – Light In A Time of Darkness’ by Alice Walker. The book’s theme is how we can all do our share of changing our world for the better. Factual, brave, soulful and poetic, all at the same time, the author does not flinch from showing us the underside of today’s earthly realities. Racism, the oppression of women, mutilation, wars, extreme poverty, the destruction of the planet all controlled by media manipulation and mass hypnosis. It is by no means a persecution fantasy and Alice’s poetry adds a great deal to gently guide us, her readers, into a new perspective. • ‘You Can’t Keep A Good Woman Down’ by Alice Walker. • ‘Mutant Message From Down Under’ by Marlo Morgan. A particularly interesting book because there’s much controversy about the origin of the information in this book, i.e. whether it’s fiction or fact. It is supposed to be the account of an American woman’s journey into the outback of Australia, where she goes on walkabout into the desert as a guest of those who call themselves the Real People. From them she learns a totally different way of life and of looking at the meaning of life itself. A refreshing alternative to our materialistic, dualistic and goal oriented Western cultures. Reading the book it is clear that Marlo never set foot in the Australian desert. There are no descriptions of it whatever. The people of the tribe who have invited her carry no belongings with them. In spite of this, whenever they stop and find some food, the prepare a coal fire. Where on Earth, in the middle of any desert, would you just conveniently find that? Apart from these things, it’s an excellent little book – not many pages. Well worth reading. I love reading about other countries, the scenery and the way other people live. If Marlo Morgan had read ‘Golden Soak’ by Hammond Innes before writing her ‘Mutant Message Down Under’, she might have done much better with a description of life in the Australian outback and especially the desert. Nietzsche’s philosophy is a testament to unflinching human endeavour in the face of adversity. ‘Beyond Good and Evil’ is a superb exposition of some of the central themes of his philosophy. He believed that the greatest products of human art and literature will necessarily be understandable only by the greatest of minds of the ones who strive to rise above the realities of our earthly existence. This book is at least as accessible as any other works by Nietzsche with its many passages of great humour. Yet the counter-point of Nietzsche’s own personal hates and the inner-anger that one senses beneath the surface of the meanings he tries to convey, create a wonderful insight into the psychology of a prophet who, for a very long time, was not only unrecognised in his own land, but also throughout the whole Western world. • ‘Jesus and the Lost Goddess – The Secret Teachings of the Original Christians’, its follow-up. To my delight I found that in both books the authors confirmed just about every one of the insights I had gained into the background of the Bible and the Jesus legend, the way my inner guidance had taught me for a very long time. Unlike me, Freke and Gandy, were devoted Christians at the onset of their quest for the truth behind the words of their Scriptures. 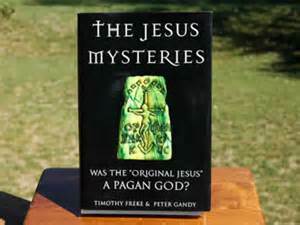 ‘The Jesus Mysteries’ was first published in 1999. ‘Jesus and the Lost Goddess’ followed in 2001 – in the middle of Pluto’s transit through Sagittarius. As pointed out in the chapter ‘Pluto in Capricorn’, the Plutonian energies engage us and our world in the process of breaking down and then rebuilding the structures on which we all depend in more truthful and satisfying ways. The purging and cleansing effect of Pluto’s energies bring to the surface of our individual and collective consciousness that which once was hidden from public view and knowledge. Sagittarius is concerned with vast themes like the higher and highest education, religions and philosophies of our world, including the people who practise them, and the dissemination of their ideas through broadcasting and publishing. It is not surprising that a flurry of other publications of a similar nature to those of Freke and Gandy appeared during the time of Pluto’s transit through Sagittarius. I read several of them and with each one my inner guidance told me that they were a load of nonsense. However, when it came to Freke and Gandy’s books, it nodded – so to speak – and told me that all of it made a great deal of sense. Each new chapter confirmed that they were indeed telling the truth. The Freke and Gandy books are an education that, in my view, should not be missed by anyone. By sharing their considerable gifts with us, the authors have presented us and our world with two serious scholarly and meticulously researched works of the highest calibre. My inner guidance tells me loud and clear that they are telling the truth. To me, they are eminently suited to do so the way it revealed itself to them hidden behind many of the surface words of the Bible, especially the life story of the Master Jesus. It was a great joy for me to discover their work about six years after the creation of Rays of Wisdom and several decades since I first became aware of and felt drawn to looking for and writing down the truth behind the words of the sacred texts of the various religions of our world and Christianity in particular. ‘The Book of Star Light’ – White Eagle Quotes. White Eagle’s words are as wise, beautiful, gentle, kind and loving as always. ‘Morning Light – on the Spiritual Path – first in White Eagle’s Morning Light series. Good things come in small parcels is probably the most appropriate description for this series of four slim volumes. Like all W.E. books this one is filled with a wisdom that is so profound, so deep, kind and loving that it freely flows like a healing balm into one’s soul whenever one reads any of his teachings. It is something that by rights cannot be described, but has to be experienced. ‘Sunrise – In Love there is no Separation’ White Eagle. Volume two in the above mentioned series, a delightful little book – quite literally because it has only 61 pages. But what a treasure! It is supercharged with the most profound wisdom about life, death and the hereafter. In his unique gentle and loving manner W.E. 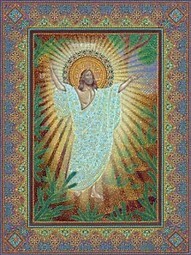 explains the great concepts of transfiguration and resurrection, as demonstrated by the Master Jesus in his life and which every soul must go through eventually. He talks in great detail about life in the world of spirit and shows us the importance of conducting our Earth lives in the right manner, i.e. ever more orientated towards the living spirit behind it. ‘The Beautiful Road Home – Living in the Knowledge that you are Spirit’ White Eagle. Among the topics covered in this book is the question: ‘What is our world coming to?’ W.E. explains that wars are due to and part of international Karma. He talks about: surrendering our troubles to God; the soul; death; pain and suffering; the fear of war; the worship of the Great Mother of all Life; the power of thought and of love; a new Heaven and a new Earth; humankind’s descent into matter and many others. ‘Minesta’s Vision’ – A centenary Collection of Grace Cooke’s Writings. After careful consideration, I have placed this book after White Eagle’s, because I sense that she would not want to be honoured before him. Grace Cooke was the channel through whom W.E. worked and Minesta was the name he had given her. Actually, this is more a brochure than a book, but it certainly deserves to be mentioned here. On the front cover is a picture of Minesta in her later days. She is still beautiful; the inner beauty of her soul shines especially through her eyes. They seem to look sad and also slightly amused at the human spectacle that she had to witness in her time. Thank you, Grace, you are still loved and appreciated for all the wonderful work you did on behalf of us all. Thanks be to God and the Angels, for bringing you to our world, for helping you to fulfil your predestined purpose and walk the path that had been allocated to you, by sharing your precious gifts with us all. You are not forgotten – you never will be. ‘Stella Polaris’, the magazine of the White Eagle Lodge. An enlightening bi-monthly read. ‘Altair’, the journal of the White Eagle School of Astrology. Warmly recommended tri-monthly read for those who are interested in astrology. ‘Illumination’ Volume 1 First published in 1937, it introduces itself as ‘a little book presenting the teaching of the White Brotherhood, as given through “W.E.”.’ This small volume is filled with White Eagle’s gentle wisdom that has become so familiar and dear to many throughout our world. It was sent to me by a when the editing of RJ2 was already at an advanced stage. What astonishes me most about this precious gift is that so much wisdom was already available somewhere in our world, just before and during the outbreak of World War Two. I enjoyed this book so much that I subsequently bought a whole collection of further W.E. books and started to work my way through them, one by one. Time and again, I have been amazed and delighted to find how well they complement my own writings, and how many confirmations of the inspiration that flowed through me the W.E. books contain. There now follows a brief revision of the ones I have managed to read thus far. ‘White Eagle on Reincarnation’ – a wonderful read, filled with White Eagle’s gentle wisdom. ‘Memories of Reincarnation’ by Grace Cooke, the spiritual medium through whom White Eagle worked. For two reasons this is an excellent companion book to the one above. The first is that it allows us some interesting insights into two ancient civilisations. And the second is that it also gives an idea of the evolutionary progress that is possible for a human soul and how this continues, throughout the ages. ‘The truths taught long ago by Jesus, and so beautifully written down by John, have to be known and lived. They have not been so lived except by a few saints. Even these saints were limited by the world of their day. Now we are coming to a new age, and these same teachings of John are going to found a new church, but not a church such as you know today. The church of St. John [as based upon the Gospel of St. John, the beloved disciple of the Master Jesus] will be built into people’s lives, into their hearts, into their souls. • ‘Spiritual Unfoldment 2 – White Eagle. The Ministry of Angels and the Invisible World of Nature’. The same as with the previous book, I would like to let this one speak for itself, by quoting something from one of its chapters, the one called ‘In Harmony with Life’: ‘Endeavour as you look on any physical form to look into that form and to the spirit [that dwells within it]. See it in the very roots of the trees, in the trunk, branches and the leaves. See the white light [within the physical form] rising as the sap rises. See this phenomenon taking place in the flowers and bushes and tress and all nature. • ‘Spiritual Unfoldment 3 – White Eagle – The Way to the Inner Mysteries’. Again, nothing can explain the essence of this book better than the following quote from the chapter ‘The Ancient Mystery Schools’: ‘Today all are free to seek the mysteries. Once a man or a woman longs for wisdom, not out of curiosity or to satisfy a greedy mind, or for his or her own satisfaction, but that he or she may serve [God and humankind to relieve the ignorance and suffering of this world], then they set their feet upon a path which leads ultimately to enlightenment. Having worked my way through the above White Eagle books one by one – quite a few more are waiting to be read – all I can say that each one, in its own way, is as profound and deeply inspirational as all the others. They contain so much wisdom that I thoroughly recommend them to anyone. • ‘Astrology for the New Age – An Intuitive Approach’ by Marcus Allen, for my liking is the best astrology book I have ever come across. • ‘The Way of the Sun – Festivals of the Year’ White Eagle. I believe it has been re-published and is now available as ‘Festivals and Celebrations’. A good book for finding a better understanding of how the ancients celebrated all those feasts that for most people, these days, unfortunately have lost their true meaning. It is not really an astrological book, but fits very well into this part of my list. • ‘Wisdom in the Stars’ by Joan Hodgson, former principal of the White Eagle School of Astrology. Warmly recommended to anyone who is interested in the Astro Files. Joan’s insights provide further valuable clues about the intended pathway of the human soul and spirit, as each one of works their predestined way through the zodiac on the great wheel of life. For many years now I have been living my life completely intuitively. That is also how I choose my reading material and that means reading whatever I feel drawn to, at any given time. Invariably, it is something that helps me find a greater understanding of some situation in my own life or life in general. Thus it came about a very long time ago that ‘The God of Surprises’ by Gerard W. Hughes came my way. It is the most surprising book of spiritual guidance I have ever encountered. Hughes writes about himself: ‘I am a Catholic, a priest and a Jesuit. Many people still think that Catholic priests, perhaps Jesuits especially, never suffer confusion, bewilderment or disillusion. I do.’ When Gerald Priestland says about the book: ‘One of the great books of spiritual guidance’, he is spot on. It is probably the most wonderful and genuinely enlightening book I have ever come across. There is such an incredible amount of ‘garbage literature’ on the market when it comes to spiritual books, that to read this one is most refreshing. It was first published in 1985 and my copy is from the twenty-ninth reprint in 1994. Bearing in mind what was said in the preface, it clearly is the author’s job to at least try to keep his readers within the folds of his Church. It is only too understandable that he is trying to safe-guard the Church as an institution, true to his Jesuit background. I would not hold that against him or his book. But, it is only fair to mention that he suggests that big changes need to be made by both readers and Church. He does not spare them the fact that any valid changes can only come from within. Reader and Church alike, if they did follow his guidance, would stand to benefit enormously, for Gerard really does know what he is talking about. As for myself, I do not find it difficult to discard and ignore the parts where he suggests that the Church, its rituals and all the paraphernalia that go with it, are essential – to them, no doubt they are. I just remind myself that he is a priest after all and one who must officially have been given permission by his Church and order to write this book. It is a peace making effort, a work of re-conciliation, well worthy of a read. Easy to see why this most unusual book has been so successful and that those who pay attention to it, one way or another can be sure to get a great deal of benefit from it. Clearly, some remarkable changes are coming from the direction of the Church herself. Having lived several years in Ireland, I know first hand that there is evidence of an astonishingly enlightened priesthood, especially among the young. Refreshingly for a man of the cloth the author acknowledges God’s Universality instead of that of his church; he addresses himself to all religions. Bearing in mind that it is his job to market Churches, he does not insist that they should be either Christian or Catholic. That I find truly remarkable and does it not make a wonderful change for starters? As always, actions speak louder than words and the Churches seem to be demonstrating through their behaviour, especially on topics like ‘women for the priesthood, divorce, and birth control’, that they themselves are not paying sufficient notice to what people like Gerard Hughes have to contribute. Empty Church buildings are valid evidence that this is happening to their detriment. I wonder whether as yet it has dawned on any of the hierarchies within the belief systems of our world that, basically, people do not need them at all. Jesus Christ does not seem to have approved of churches either. The experts consider St. Paul to have been the founder of Christianity. My feeling is that, if any of our religions would like to survive into the New Age, the first thing they have to come to terms with is that they need us more than we need them. So, on the strength of that, who is most in need of change? Be that as it may, I am sure that those readers who, with Gerard’s help, find their own way to the One, who lives within each and every one of us, will never look at God in the wrong way or be lost and confused again. • The last but by no means the least entry in my booklist is ‘The Holy Bible – translated by The Reverend Dr. George M. Lamsa. Lamsa was born 1892 in Mar Bishu, now the extreme east of Turkey; he died 1975. He was a native Aramaic speaker and translated the Aramaic Peshitta, which means literally ‘straight, simple, sincere and true’ into English versions of the Old and the New Testament. The translations are based on the nine surviving ancient original Aramaic texts, which have never been revised or tampered with. Lamsa spoke eight other languages and served as translator on numerous occasions for governments and important institutions and he spent more than thirty years on the translation of the New and Old Testaments. Protected in a Living Time Capsule For Sixteen Centuries in the Mountains of Northern Mesopotamia, the Aramaic Bible, called the Peshitta in the Middle East, was translated into English, for the first time in 1933 and published as ‘The Holy Bible from Ancient Eastern Manuscripts’ in 1957. Having the Peshitta as a reference has made it possible to correct numerous spelling and contextual errors that crept into all later Translations of the Bible. Lamsa tell us that among the most consistent translation errors were those that involved the knowledge of the Holy Spirit and of the soul. This very special Bible is among my most treasured possessions, in spite of the fact that not by any stretch of the imagination could anyone call me a Bible thumper. I have never lived on a constant diet of Bible studies, but just to hold this magnificent book in my hands feels like a rare privilege. Intuitively, I sense its warmth and I am aware of handling a sacred jewel; the same happens with White Eagle’s teachings. Compared to these two my King James Bible has a cold and neutral feeling. What Does Truth Mean To Me? The way I interpret this is that White Eagle means that some people are always inspired unconsciously intuitively. They do not appear to use the physical brain, but seem to receive information without studying books. It flows through them like water through a channel. They learn or rather they have learnt how to give their confidence and trust to the Divine spirit. And so, for them, it is possible for them to get right to the heart of truth. This is very useful sometimes without having to pore over books. Nevertheless, we know the latter to be necessary because some people still want and need what to them appears to be facts or rather, they think they are dealing with facts because they are looking at something in print instead of inspiration that has come about through attunement with simple and childlike trust to the Great Spirit, to God. ‘Take no thought what ye shall say,’ said the Master. Take no thought, for what is to be said will be put into your mouth or your hand holding a pen or your fingers on the keyboard. Truth that flows into your heart comes directly from God. Therefore, it is true and because you know that this is so, no matter what anyone says about it, you can afford to remain very calm. The wise person never argues about truth. They know that there is no need for doing this. Whenever you find truth you gain inner knowing. You all experience this at times. Out of this is born an inner knowingness. By this we do not mean mental arrogance that is very sure of its cleverness, but that quiet inner knowing that has no need for arguing, because its know that God’s Divine truth speaks for itself. They feel and know that it is true and that what they have found is good and right, because it has come from God. If that happens to you, you can remain peaceful and happy. If those around you do not want to know your truth because they are unready for it, it does not matter. Leave them to it and know that in the fullness of time they too will receive their own truth, i.e. that which is truth to them. Each in their own way in the end will be guided to their own inner knowledge. To me, White Eagle’s words are a clear indication that we all eventually reach the point when there no longer will be any need for them, even though at present we may still enjoy reading books and relying on. My own life has taught me that, the more one gains access to one’s own inner wisdom and truth, this is what happens. May the light of the Highest Star guide and protect and show each one of us how to find it.